How long should it take for an English speaker to learn new languages? How long should it take for an English speaker to learn different languages? 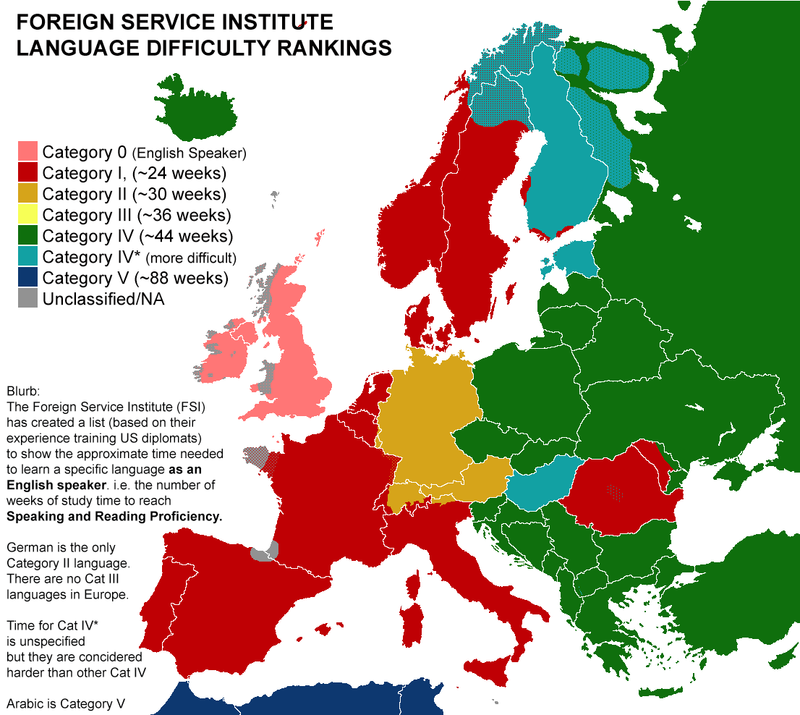 The FSI (Foreign Service Institute) which is U.S government’s main provider of foreign affairs training, including language courses, prepared an interesting map which describes the ‘Language difficulty rankings’. The research highlights how long it should take for a native English speaker to learn a language and what level of difficulty each language presents to them. You can see the NSI map of languages below, and if you wish to read about the reasons behind it in more details, please visit this site.